As an established custom homebuilder on LBI, we have over two decades of experience building custom homes. The most critical part of the process is making sure everything in the completed home is perfect. We want to always make sure every homeowner is thrilled with their new home. Every last detail matters to the Stonehenge team. The proof of this lives on our website, and in our social media profiles where homeowners, subcontractors, and others are able to tell the story of their experience. At Stonehenge Building & Development, we take the power of the review seriously. We encourage our homeowners to share their experiences with others so they can help other families make their LBI custom home a reality. Here’s a few ways you can share your experiences online. Google is the end-all-be-all of search engines and internet tools. We work hard to keep our Google Business listing up to date, and reviews are an important part of that presence. We encourage our homeowners and contractors to share how they feel about Stonehenge and use the power of the review on Google to spread the word. 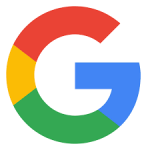 Here’s a link to our profile on Google, feel free to review us. We love our friends and followers on Facebook. This is another place where you can tell others what you think of us. Facebook reviews help our potential customers learn more about our company and how we do business. The power of the review on Facebook goes a long way, and is a lasting testament to our company’s commitment to customer service. Find out what our Facebook friends think of us. Be sure to leave your review, too! Our profile on Houzz is super active. We’re always sharing new project photos, encouraging our homeowners to review us on Houzz, and interacting with inquiries from this growing platform. We have earned the Houzz Service Award 3 years in a row. This award means that our projects are getting high marks from our homeowners. Take a look at what people are saying on Houzz! The power of the review online will continue to grow. Reviews enable reputable, long-time custom home builders on LBI, like our company, to demonstrate our expertise and level of customer service to new potential customers. We encourage our homeowners, subcontractors, and colleagues to take a moment to review us online. For more customer testimonials, click here. Thank you to everyone who has shared their Stonehenge Building & Development experience. 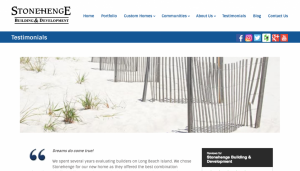 We look forward to continuing our commitment to excellence in building custom homes on LBI.